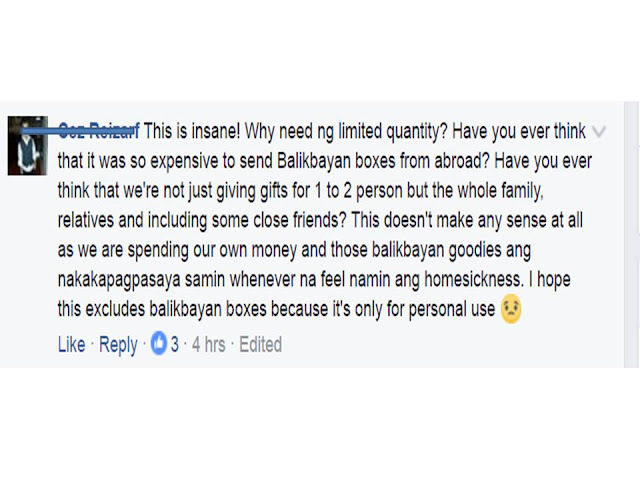 It has already become a tradition for Filipino overseas workers to send package or balikbayan box containing gifts and pasalubong for their families, and sometimes even friends. 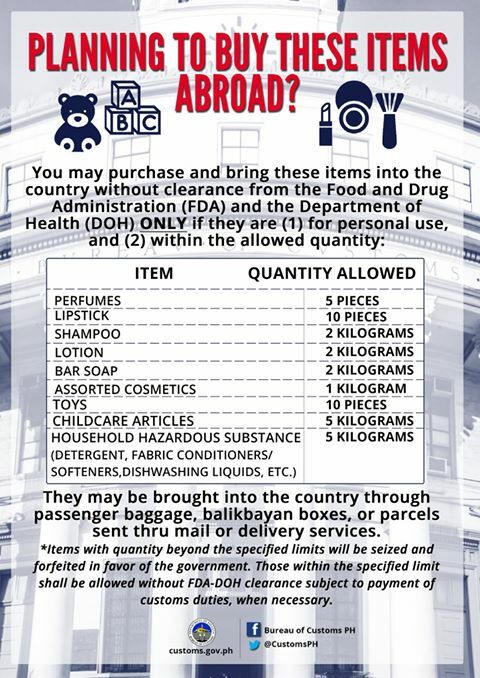 The Bureau of Customs recently released a list of items and allowed quantity that Filipinos abroad can send or bring to Philippines. 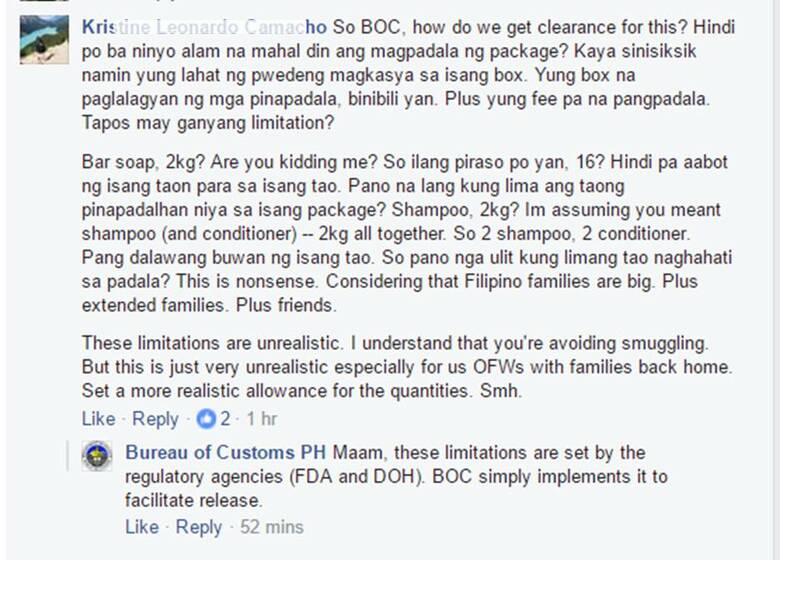 Any excess on the prescribed limits, according to BOC will be seized and forfeited by the government. If you will be sending balik-bayan box to Philippines or you will be carrying with you "pasalubong" on your vacation, make sure that it is within the allowed quantity. 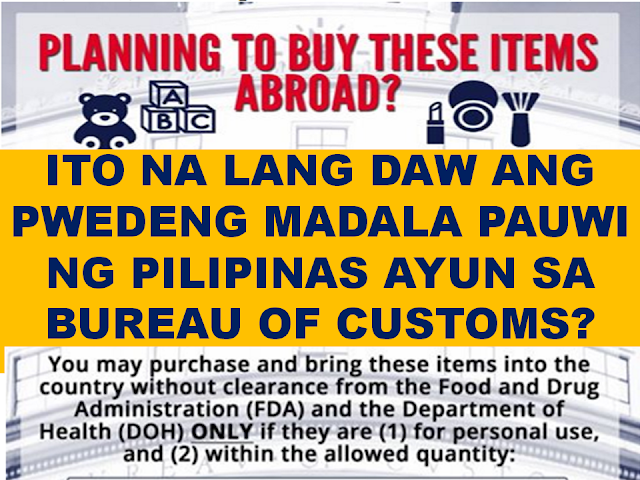 The Bureau of Customs (BOC) released guidelines listing usual contents of balik-bayan box and the allowed quantity. The most common stuffs being sent by Filipinos abroad to their relatives in Philippines usually includes, perfumes, toiletries like soaps and shampoos and toys. In the guide list, perfumes are restricted to 5 bottles, there are also limit on the amount of lipstick and cosmetics, soap and shampoo, toys, household cleaners, and even childcare articles. According to BOC, these items can be brought to Philippines without the need of clearance from the Bureau of Food And Drug (FDA) and Department of Health (DOH). The limitations will be applicable to balik-bayan boxes or packages sent as parcels through mail and other delivery services, and also as passenger baggage. Any items exceeding the limit mentioned above shall be seized or forfeited by the government. 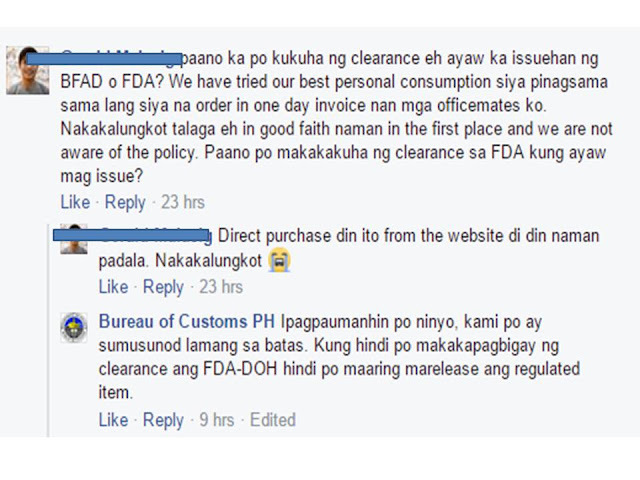 Upon the release of the guidelines, there are some OFWs who complained to BOC regarding this guidelines. Many Filipinos choose to send bars of soap, cosmetics, shampoos and perfumes as gifts and "pasalubong" for relatives and friends specially those who are going on vacation.
" This is not good. We as OFW are trying hard to earn to buy our pasalubong items when there are sales promotions only. If you are asking us to limit our pasalubong items how can we divide it to the entire family? " While some are also worried for the packages on the way in case the items will be confiscated since there is now limit on sending and bringing these items to Philippines. It seems that the regulation is not only for OFWs but also for those who are doing online shopping where the items comes from other countries.